This year, the Conference Planning Committee will include meeting four times prior to the conference. 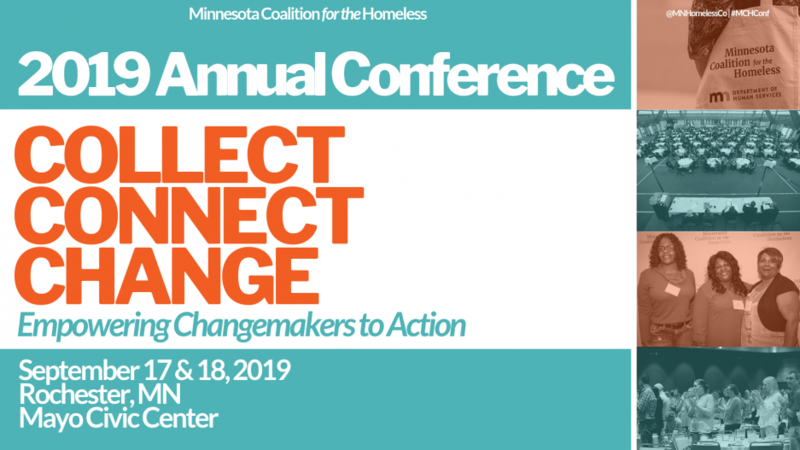 The meetings (via call-in or attending in person) will be working to select presentation proposals for the various workshops/breakouts for the annual conference Collect, Connect, Change: Empowering Changemakers to Action and offering feedback on conference planning. Please contact Matt Traynor at Matt@mnhomelesscoalition.org by May 1st if you are interested in joining the committee! We will have a call-in option for those unable to attend in person.